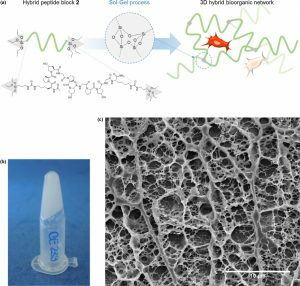 An unprecedented generic system allowing the 3D printing of peptide-functionalized hydrogels by soft sol-gel inorg. polymn. is presented. Hybrid silylated inorg./bioorg. blocks are mixed in biol. buffer in an appropriate ratio, to yield a multicomponent bioink that can be printed as a hydrogel without using any photochem. or org. reagent. Hydrolysis and condensation of the silylated precursors occur during the printing process and result in a covalent network in which mols. are linked through siloxane bonds. The viscosity of the colloidal soln. used as bioink was monitored in order to set up the optimal conditions for extrusion printing. 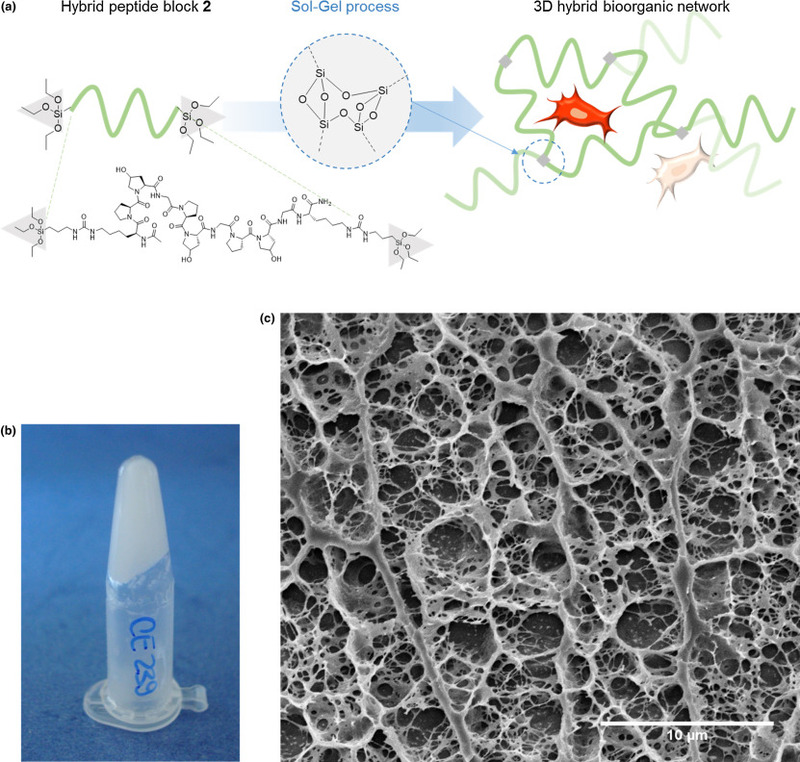 Grid-patterned hydrogel scaffolds contg. a hybrid integrin ligand were printed using a pressure-driven rapid prototyping machine. Finally, they were seeded with mesenchymal stem cells, demonstrating their suitability for cell culture. The versatility of the sol-gel process and its biocompatibility makes this approach highly promising for the prepn. of tailor-made cell-laden scaffolds. 2,5-Dihydro-1H-pyrrole-3-carboxylates are important building blocks for the synthesis of high value pyrroles and pyrroloquinoline derivs. with interesting biol. activities. The use of continuous flow allowed us to perform a key synthetic step, namely ruthenium-catalyzed ring-closing metathesis, with a residence time of 1 min at 120 °C. Di-Me carbonate, a green solvent, was demonstrated for the first time to be an excellent solvent for this reaction in continuous flow. The continuous flow conditions proved to be general and the scale-up of this reaction was not only possible, but also highly efficient. Conversion of 10 g of diene was realized in 37 min under continuous flow, yielding the desired heterocycle in 91% yield. Oncol. patients subjected to chemotherapy frequently present aphagia, malnutrition, and cachexia. The purpose of this study was to investigate whether selected growth hormone secretagogues including hexarelin, JMV2894 and JMV2951 could antagonize body wt. loss and wasting induced by cisplatin administration in rats. The three growth hormone secretagogues behaved as full agonists of the growth hormone secretagogues receptor both in terms of ability to stimulate calcium mobilization in Chinese hamster ovary cells and stimulation of growth hormone release in neonatal rats. Adult rats were (i) treated with vehicle throughout (controls), or (ii) treated with cisplatin (days 1-3) and a growth hormone secretagogues or vehicle, (days 1-12). Body wt. and food consumption were measured daily. Although all growth hormone secretagogues caused initial transient acute increases in food intake, the total amt. of food eaten by controls and growth hormone secretagogues treated groups over the 12 exptl. days was not significantly different. All groups pre-treated with cisplatin lost up to 5-10 % body wt. in the first 4 days; they subsequently gained wt. at a rate comparable with controls. Interestingly, rats which received JMV2894 demonstrated a faster gain in body wt. than any other growth hormone secretagogues treated group and at the end of the protocol reached a wt. similar to that of controls. JMV2894 did not stimulate perirenal and epididymal fat accumulation but reduced MuRF mRNA levels in skeletal muscles. In conclusion, our findings demonstrate that JMV2894 antagonizes cisplatin induced wt. loss in rats and may prove useful in antagonizing cachexia assocd. with cancer and chemotherapy in humans. Jean Martinez received both his PhD in 1972 from the University of Montpellier 2, at the National School of Chemistry and his Dr Sciences Degree in 1976 from the same University, under the supervision of Professor F. Winternitz. The same year, he joined Dr E. Bricas group at Orsay, University of Paris Sud, as a post-doctorate fellow and in 1977 the laboratory of Professor M. Bodanszky at Case Western Reserve University in Cleveland, Ohio, USA, where he stayed till mid 1979. 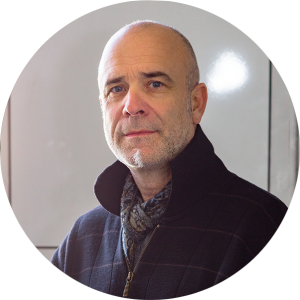 Jean Martinez is a Full Professor at the University of Montpellier. In 2007, he created the « Institut des Biomolécules Max Mousseron » (IBMM), which he has been the Director until December 2014. 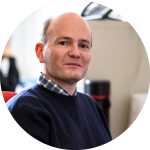 He is actually Head of the department of Amino Acids, Peptides and Proteins at IBMM. 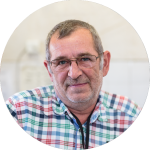 He served the University of Montpellier 1 as a Member of the Scientific Council for 8 years, and as Vice-President for 6 years (2009-2014). Prof. Martinez is recognized for his important contributions, at the interface of chemistry and biology, to the development of methodology in organic and peptide synthesis, design and synthesis of various potent and selective neuropeptide analogues, and biomaterials containing biomolecules. He has published over 900 original papers, 50 patents, numerous review articles, and he has been editor of several books. In 2012, he was accepted into the « Académie Nationale de Pharmacie », France, and in 2014 into the « Real Academia Nacional de Farmacia », Spain. In 2015, he has been nominated Docteur Honoris causa of the Jagellonian University of Kracow, Poland. 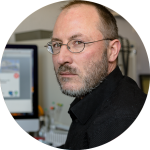 He has received various prizes including the Leonidas Zervas Award (Barcelona, Spain 1990), the Silver Medal CNRS (Paris, France 1996), The Labbe Award (Paris, France 1996), The Mentzer Award (Caen, France 1998), the Max Bergmann Medal (Munster, Germany 2004), the Cathay Award (Shanghai, China 2006), the Akabori Award (Tokohama, Japan 2006), the Ehrlich Award (Lyon, France 2011), the Roche « Johannes Meinhofer Award » (Boulder Co, USA 2011), the Léon Velluz Award (Paris, France 2015), the Rudinger Award (Leipzig, Germany 2016). He is « Chevalier dans l’Ordre des Palmes Académiques » (2010), and Chevalier dans l’Ordre de la Légion d’Honneur (2011). 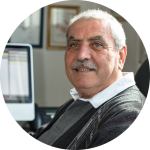 Jean Martinez served the European Peptide Society as French Representative, Member of the Executive Committee (1991-1998), Scientific Officer (1998-2001), and President (2001-2010). 1) “Turning peptide sequences into ribbon foldamers by a straightforward multicyclisation reaction“, V. Martin, B. Legrand, L. L. Vezenkov, M. Berthet, G. Subra, M. Calmes, J-L Bantignies, J. Martinez, & M. Amblard, Angew. Chem. Int. Ed., 54, 13966-13970 (2015). DOI: 10.1002/anie.201506955. 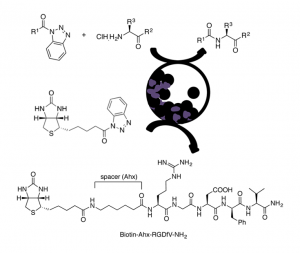 2) “A new way to silicon-based peptide polymers“, S. Jebors, J. Ciccione, S. Al Halifa, B. Nottelet, C. Enjalbal, C. M’Kadmi, M. Amblard, A. Mehdi, J. Martinez, & G. Subra, Angew. Chem. Int. Ed., 54, 3778-3782 (2015). 3) “Dipeptide mimic oligomer transporter mediates intracellular delivery of cathepsin D inhibitors: a potential target for cancer therapy”, M. Maynadier, L. Vezenkov, M. Amblard, V. Martin, C. Gandreuil, O. Vaillant, M. Gari-Bobo, I. Basile, J-F. Hernandez, M. Garcia, & J. Martinez, J. Controlled Release, 171, 251-257 (2013). DOI:10.1016/j.jconrel.2013.07.017. 4) “Ligands and signalling proteins govern the conformational landscape explored by a G-protein-coupled receptor“, S. Mary, M. Damian, M. Louet, N. Floquet, J-A Fehrentz, J. Marie, J. Martinez, & J-L Banères, Proc. Natl. Acad. Sci. USA, 109, 8304-8309 (2012). 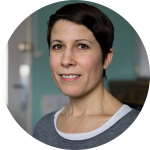 5) “A straightforward approach for cellular-uptake quantification “, D. Paramelle, G. Subra, L. Vezenkov, M. Maynadier, C. André, C. Enjalbal, M. Calmes, M. Garcia, J. Martinez, & M. Amblard, Angew. Chem. Int. Ed.., 12, 747-753 (2010). Heterocycles are common structural units in marketed drugs and in medicinal chemistry due to the central role they play in modern drug design. Indeed, heterocycles are useful scaffolds that can be decorated with various substituents in order to modulate lipophilicity, polarity, and hydrogen bonding capacity of molecules. 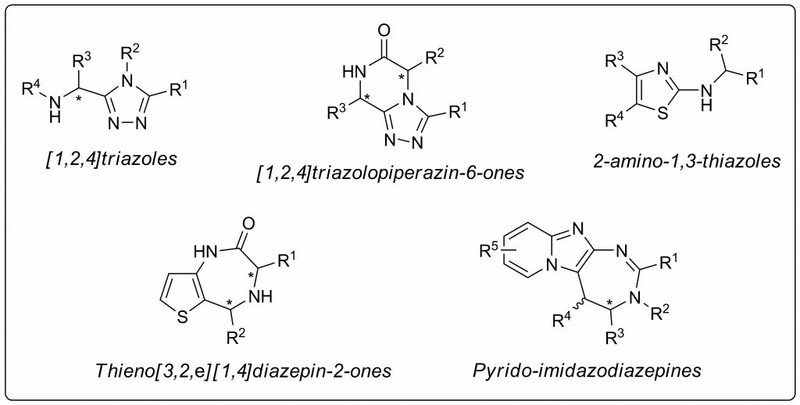 These structural modulations may lead to improved pharmacological, pharmacokinetic, toxicological, and physicochemical properties of drug candidates. Heterocycles are also routinely used as bioisosteres for a variety of functional groups in drug candidates. 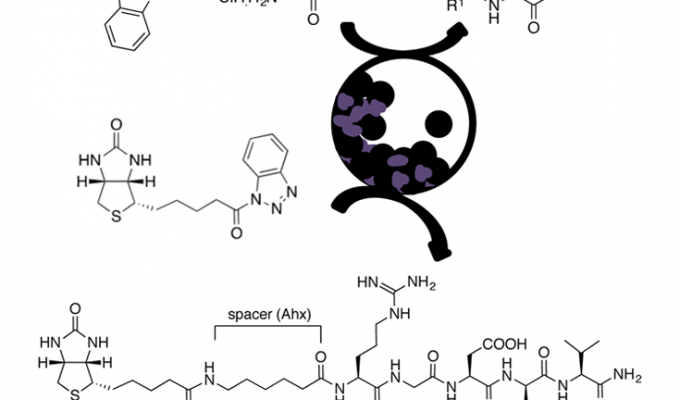 Therefore, heterocycles represent privileged structures in the drug discovery process. 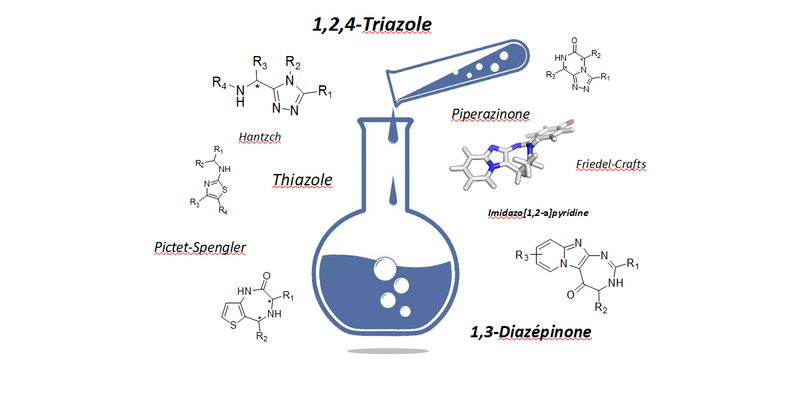 In order to find new potential lead compounds for therapeutic applications, we develop methodologies to access and structurally modulate heterocycle scaffolds such as [1,2,4]triazoles, diazepines, thiazoles and triazole-ketopiperazines. Labex CheMISyst is funding a postdoctoral position at the University of Montpellier for a period of 18 months starting between 01.01.2018 and 30.04.2018. The research will deal with the preparation of peptide-decorated colloidal nanostructures via polymerization induced self-assembly (PISA) and supramolecular chemistry. An important part of the research efforts will be dedicated to study the non-covalent interactions at work during the particle formation. 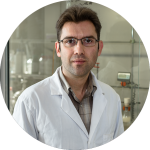 The obtained nano-structures could find applications in the fields of material science, electro chemistry and medicinal chemistry. The candidate should have a strong background in physical chemistry (self-assembly and non-covalent interactions, polymer physics, colloids science), as well as knowledge in polymer synthesis and characterization (SEC, NMR, DLS, TEM). Skills in AFM, SAXS and WAXS would also be welcome. A good command of English (both spoken and written) and solid experience in writing scientific articles and technical reports is also required. International candidates are highly encouraged to apply. PhD graduates from Montpellier are not eligible for this position. The research work will be carried out in the three laboratories of the research consortium (ICGM, IBMM, IEM). The successful candidate will thus need to show flexibility, adaptability and be a strong team player. To apply please send your full CV containing at least two references and a motivation letter to vincent.ladmiral@enscm.fr and lubomir.vezenkov@enscm.fr before the closing date (30.12.2017).